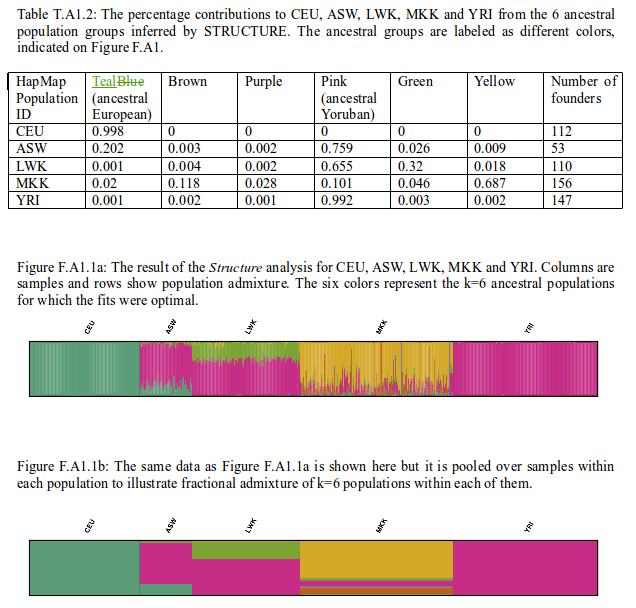 The fact that the Maasai show obviously marked individual variance at levels not apparent in other populations, and that this variance includes some smaller "mystery" components, seems to mean that they are in ongoing or very recent admixture with other populations (maybe other Maasai clans of distinctive origin, maybe other pre-Bantu East African peoples). It indicates that there is still a lot to research in the Population genetics of East Africa, what requires of extensive new sampling among the many diverse small ethnicities of the Upper Nile and nearby regions. The "mystery" seems to be mostly due to a lack of East African, Saharan, Egyptian and Sahel populations, which would be plausible candidates for Maasai admixture.